He was visibly moved during his acceptance speech and it was obvious to all that this was a very special occasion for him. His emotion touched everyone, including those of us who can only watch from afar. Below you will find a collection of quotes from this memorable evening, as well as tweets marking this event. 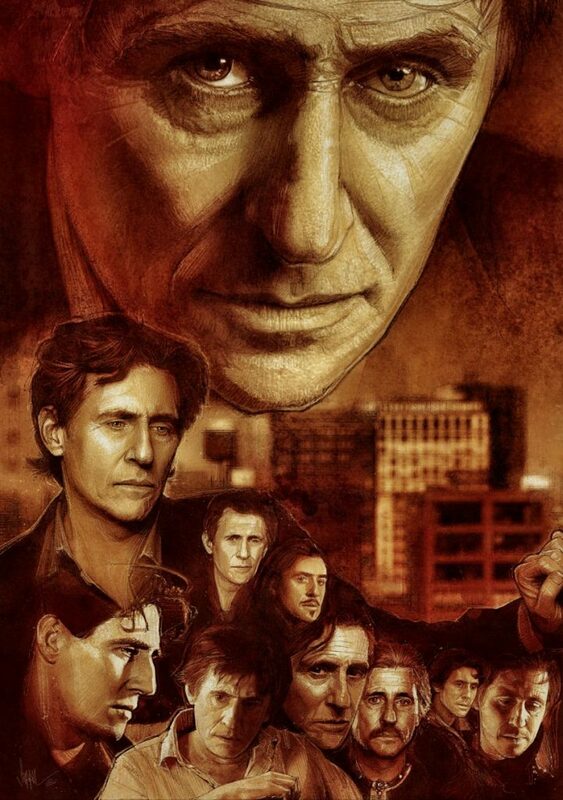 Twitter reported that “Gabriel Byrne” was trending Thursday evening and he continues to do so now. That’s quite an accolade in itself! “It’s meaningful to me because it’s for a body of work”, he said. “But when I think about it, I think about the opportunities that I’ve had and how lucky I’ve been to be able to work abroad and have the choices to do various things. The Dubliner confessed he was more nervous to accept the Irish award that any international honour. Gabriel said: “It’s lovely to be honoured abroad because you feel I’m Irish and it’s nice to be honoured as an Irishman there like the Golden Globes and the Emmys over there. “But there’s something special about coming here because it’s the home crowd and it makes you more nervous than anything else. “Here it’s like there’s a version of the neighbours are looking out the curtains at you. 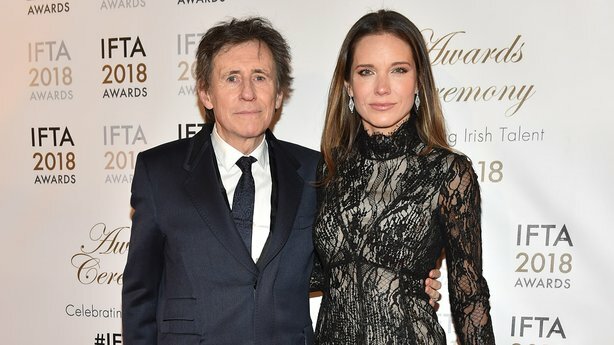 All eyes were on Gabriel Byrne as he arrived to receive his Lifetime Achievement Award in recognition of his distinguished, decades-long career in film and television. Dublin-born Mr Byrne is one of the most recognised screen talents in Hollywood and has appeared in more than 75 feature films. When asked how he was feeling about accepting the award tonight, Mr Byrne said, “I’m honoured, it’s really meaningful because it’s full circle for me. “I used to deliver letters right across the street when I was working as an insurance messenger boy and to think I’d be here one day accepting an award from the President of Ireland wouldn’t have even occurred to me as a fantasy”. 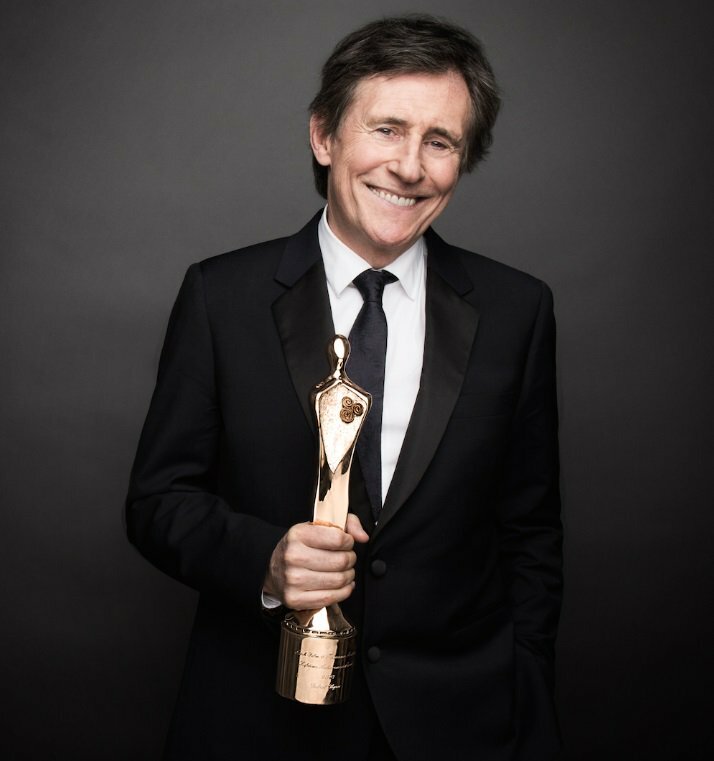 Actors such as John O’ Connor, Saoirse Ronan and Charlie Murphy took home awards beating stiff competition but the room stood-still when Gabriel Byrne broke down in tears accepting his Lifetime Achievement award. 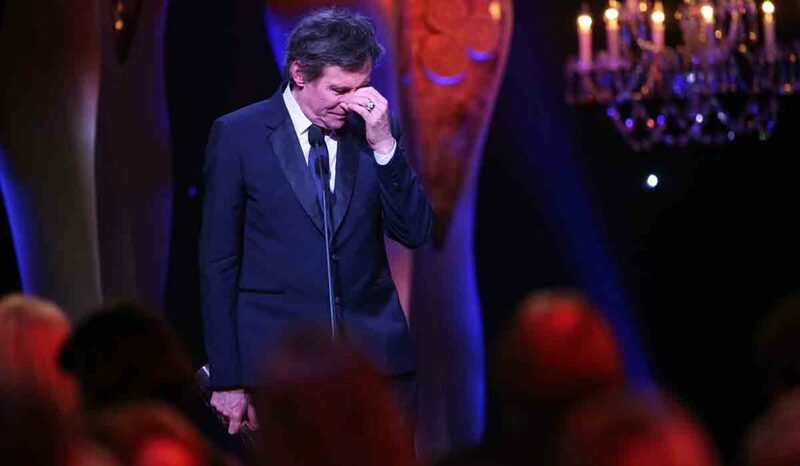 Gabriel Byrne shed a few tears as he accepted the Lifetime Achievement Award at the IFTAs on Thursday night. The Vikings actor, 67, was honoured by President Michael D Higgins at the Mansion House in Dublin, who said it was an honour to call Byrne ‘one of our own’. Byrne, who earlier walked the red carpet with his stunning wife Hannah Beth King, got emotional as fellow actors such as Brendan Gleeson, Toni Collette and Emily Watson paid tribute to him via video. Visibly emotional as he took to the stage, Byrne said: ‘When you look back on the decisions that you’ve taken sometimes with great premeditation, sometimes on instinct, you get to a place where you look back and you see the reverberations on those decisions. ‘You look back at the successes, the failures, the doubts, the insecurities, the fears, the regrets, and the great gratitude that you have to have been given those things. He also thanked his ‘darling, beautiful wife’, who looked on with tears in her eyes. After transitioning from a conservative start in religion to the liberal industry of acting, he spoke strongly about his stance on the upcoming 8th amendment referendum. 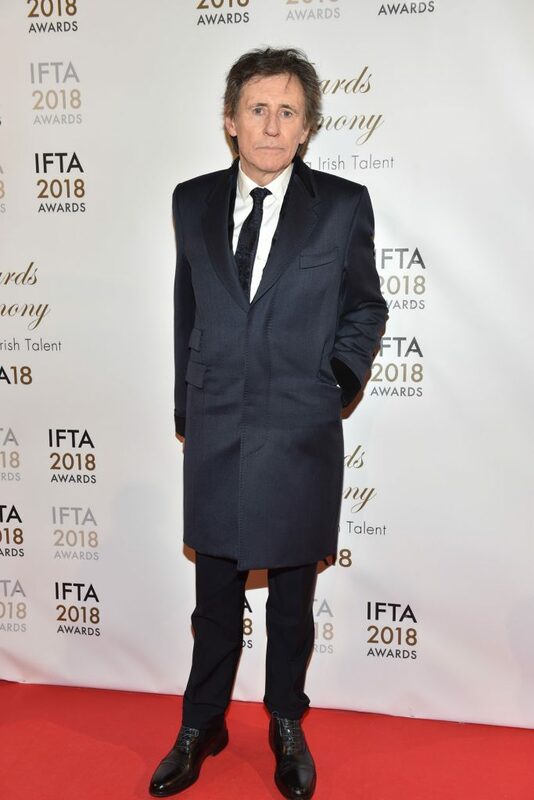 Gabriel Byrne arriving on the red carpet at the IFTA Film and Drama Awardss 2018 at the Mansion House, Dublin. Photo by Michael Chester. When asked about what he thought of the current condition of the Irish film industry, Byrne told TheJournal.ie that Ireland faces many challenges. “Ireland has the same battle that every small country has – because the dominant market is the American market. And it shouldn’t be but it is the test that the film, how it does in America, that’s where the money is, that’s where the rewards are. But you know if you’re a novelist you can sit at a table and you can tell your own story without interference from anybody else,” he said. He described how believes this dependence on success in the US in turn affects the types of films that can be made by Irish people. Byrne said that having a new Culture Minister – Josepha Madigan – is “a good thing”. But he emphasised that he sees film as belonging not just at awards ceremonies, but in schools. 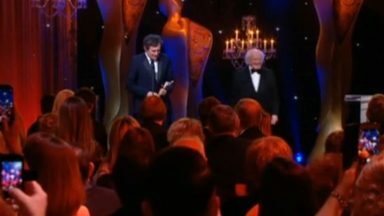 He said in his own speech at the IFTA awards that even though he didn’t know while younger what leaps he would take into the unknown, he was glad he took them. “If there’s anybody out there who has that silent urging or voice, listen to it, do it, because the doing of it means that you won’t regret it – because it’s better to have done it than to never have done it,” he said. This artwork by Paul Shipper seems especially touching now, doesn’t it? From Canada, with love and congratulations, to Gabriel! Your body of work continues to fascinate audiences. Your lifetime of supporting many important causes inspires us all. I have watched and read many of the recent interviews and I am totally captivated by your humility, authenticity and insight that makes us contemplate the world around us. I believe the honour is sweeter for you as it comes from your homeland. I am going to bequeath this website to you someday, Angelle, because you are so eloquent and you capture what I know we are all thinking and feeling about our Gabriel! Dearest Stella, I would honoured to have anything to do with your website. But no one is as eloquent as you in sharing Gabriel’s work and life. You do this with humour and integrity, my friend. Do you know if Rte International Player will air the IFTA broadcast tonight? I do not know if RTE Player will show the broadcast tonight LIVE, but they will probably make it available later on demand. I hope so, anyway! Edit: I just checked. It seems the Player WILL show the IFTA broadcast live tonight! Yay! I just watched the awards show after downloading the RTE International Player app. Such a gracious, moving acceptance speech by Gabriel. He also recognized the young emerging talent and of course thanked his “darling, beautiful wife Hannah Beth”. So sweet. They were both visibly moved by the love in the room as he received a standing ovation after the intro by President Higgins. Thank you Stella for your transcription of what Gabriel said. For people like me, when English is not the first language, it is very appreciated. When you say, at the beginning: ‘how we wish we had been there!’ It’s true, but in my case, when he received the prize and cried, I would have cried with him, that’s for sure. It was a beautiful ceremony and sure Gabriel will never forget it. Neither do we. I wish him all the best for the future and say: Go Gabriel Go !!!! 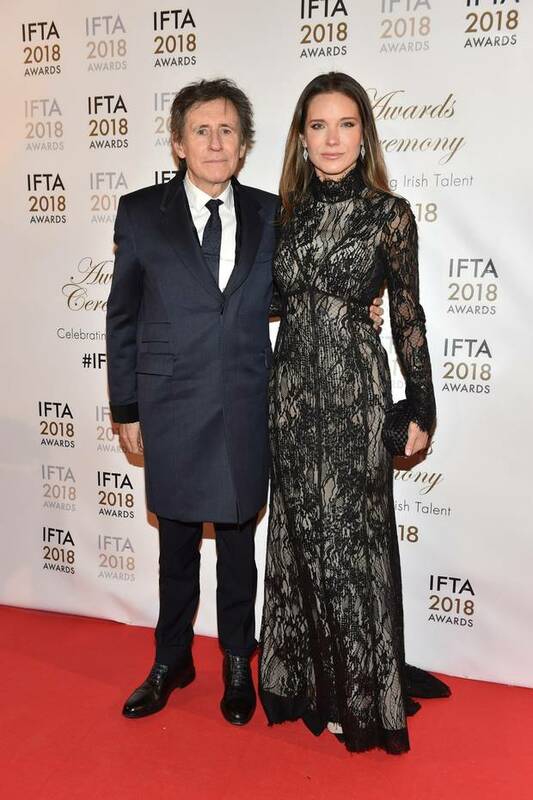 Thank you for sharing this special event in Gabriel Byrne’s life with us Stella. I am so happy for him, that he got this very well deserved prize in Ireland. 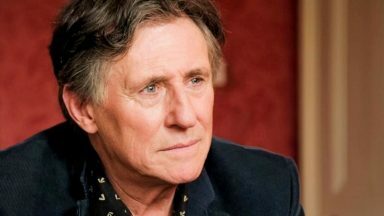 Gabriel Byrne is a very talented man with a big warm heart and a sharp brain. He is a brilliant actor with a very special talent. 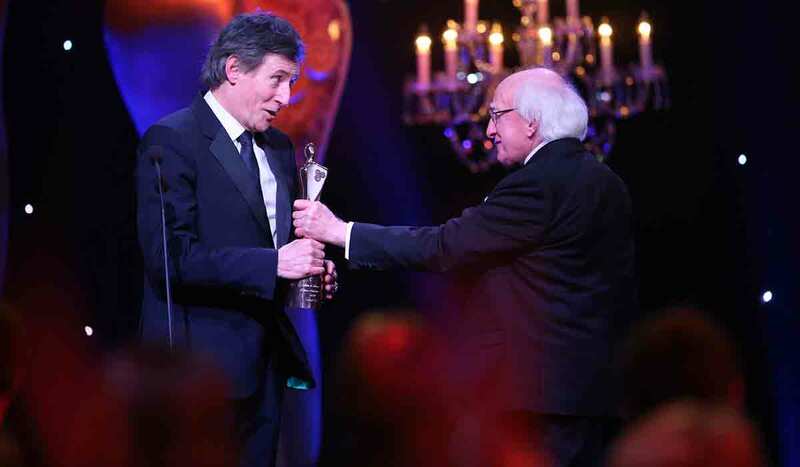 Congratulations to Gabriel Byrne for this prize!